Inspired by his grandfather's skills, Kiriyama Kyoutarou's dream is to become a hairstylist. For that he enrolls in Yumemino Private Academy, also known as Tech High, the first combined technical high school in the country, more specifically he enrolls in the Beautician Department. Little did he know that his neighbor in class is Samejima Alto, an infamous female delinquent renowned for her monstrous strength. Even after that meeting his school life proves to be quite eventful as he stumbles upon a mysterious idol's secretive practice, discovers a connection with the biggest up-and-coming idol around and receives a rather unexpected request from the fearful Samejima - "Can you turn me into an idol!?". A story about following your dreams, even when everything and everyone seems to believe they're unfit considering who you are. Kazurou Kyo created a oneshot titled 'Houkago Idol' in 2012. After making changes Kyo got the finished work, HimeDol!! serialised in issue 36 of Weekly Shonen Jump. I love it! was my first impressions after reading the first chapter of this series. 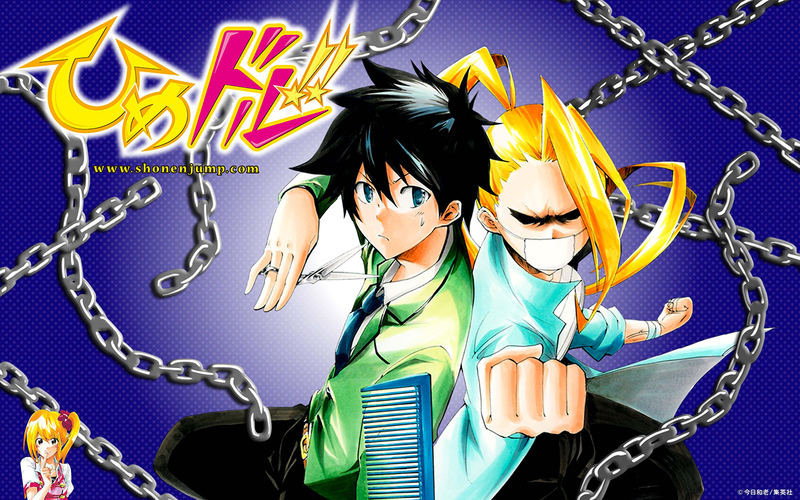 It is a completely new and original series for Jump. stereotypical views or social background should not affect your life choices. Samejima's character design is very well thought out and unique whereas Kiriyama's character design seems to be lacking. However this series has the potential to be a fun and lighthearted series. If Kyo can make some further changes to make Kiriyama more interesting, and to develop the plot in a way that does not completely look like Nisekoi, and to add more or better battle/action scenes; then Kyo would have the best looking newcomer series since Shokugeki no Soma.